If you own a bike and want to ride with other men and women that believe ending violence is an issue worth riding for, then join us this November. You can participate for an hour or the whole week, It’s up to you. Riders can participate in the Ride by joining at any location. Ride for a day in your local region, or make the commitment and join for the whole week – you won’t regret it. It’s a life changing experience being welcomed into the hearts of New Zealanders throughout the country. You will visit marae, schools, men’s groups, town meetings and events and stay at marae, Defense Force accommodation and motor camps. Check out the schedule to find out when the Ride is coming through your region and contact us so we can let you know where to join up with the ride. This year more than ever we want local riders to lead the ride into their town so please contact us to help make this occur. The Ride is led by the White Ribbon Riders. Kia ora. My name is Colin Agnew and I am the White Ribbon Ride Director South Island 2014. I am a husband, father, grandfather, brother, and son. I have been married to Libby for 39 years. I am Vice President of the Nelson, Marlborough, and West Coast Chapter of the Patriots Defence Force Motorcycle Club. I have been on every White Ribbon Ride from the first super Maori fellers ride in 2008 then three in the North Island and now along with my wife I am about to embark on my third ride in the South Island. This year – 2014 – I have been asked to take on the position of White Ribbon Ride Director and am proud to do so. During these rides I have heard stories that have had me fighting back tears, and others that have hardened my resolve to return each year to keep this message in everyone minds. I look forward to meeting you on the road and at events and hearing your story. So when I lead my riders into your town, please come and say Hi and help us spread the word. It’s Not OK but it is OK To ask for help. Ngai Tuhoe, Ngati Awa, Ngati Kahunungu Tapuika Tuhourangi nga Iwi. Takurua has worked in Health and Social Services for 25 years and is currently employed with by Moana House in Dunedin. His passion is to ride alongside like-minded men who have a similar vision for a better society. Being a part of the Ride is a choice he has made to be a better man. 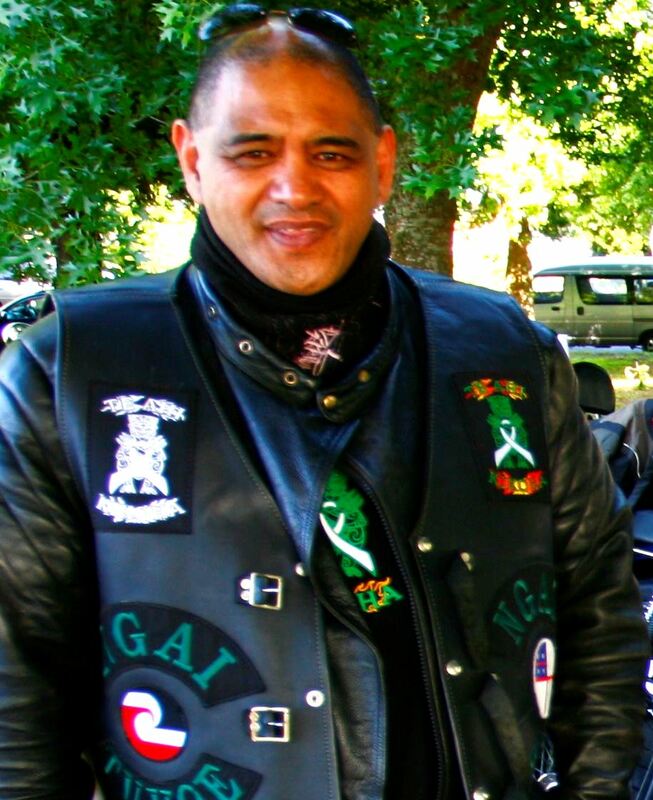 Takurua is a White Ribbon Trustee and Director for the White Ribbon Riders Group. Aaron Morrison, White Ribbon Trustee and Director for the White Ribbon Riders Group: I have been involved with the White Ribbon Campaign as a rider and a speaker for a number of years. As a current serving member of the NZ Army I feel that it is part of my duty to help create change and make NZ a safe place for all New Zealanders. I am passionate about safety for families and do not condone violence towards women. This White Ribbon Kaupapa needs to be uplifted by all men regardless of ethnicity, to ensure that all women are protected. In taking on this challenge I ask all men to make a stand: Be a safe man – be a man that respects Women! Accommodation consists of Marae, Army/Navy bases and budget accommodation. It is estimated that $25 per night will cover your costs. Contact us to book your accommodation and we’ll pass your details onto the lead riders. Please note accommodation can not be guaranteed as it does fill up, so contact us sooner rather than later. Must agree to the pledge that ‘wearing a white ribbon is a personal pledge never to commit, condone or remain silent about violence towards women’. Get updates on the White Ribbon by joining our White Ribbon Ride mailing list and receive updates on the ride and what is happening. We’d appreciate your help to promote the White Ribbon Ride to other riders. You are the people who know other riders. Please feel free to send them the link to this page or the facebook event page. You can order free White Ribbon Ride Posters and order ribbons and put them up in your town/city.